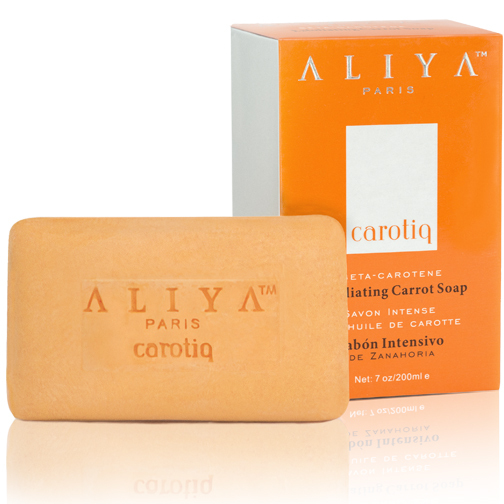 From Paris's skin whitening experts, Aliya Paris, comes a luxurious line of lightening products, Carotiq, named after the star ingredient - Carrot Oil. 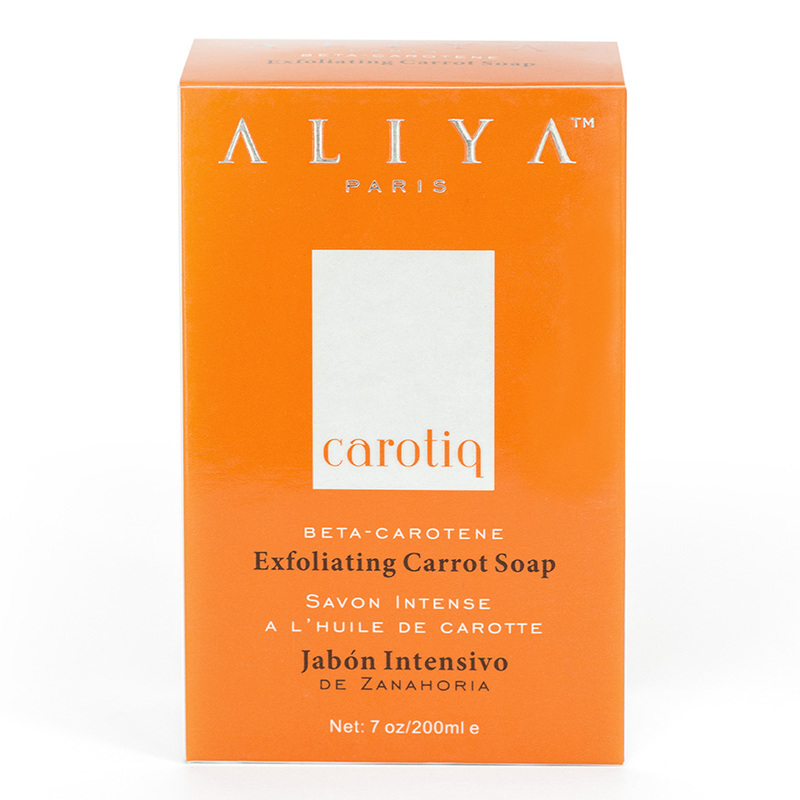 This natural oil is rich in beta carotene which can lighten skin and promote skin regeneration. Each product is carefully crafted to provide maximum skin benefits and a lightening effect. 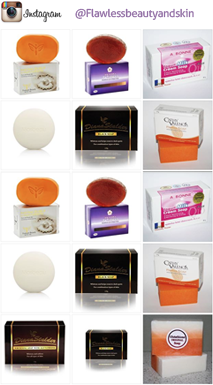 Refresh, Exfoliate and Perfect This exfoliating soap is loaded with skin revitalizing ingredients. Vitamin A, as Retinyl Palmitate, is an exfoliator that causes skin to shed its outer layer and produce new cells. It helps to regenerate collagen and elastin to reduce the appearance of aging skin, wrinkles, and fine lines. Natural Skin Lightening This formula contains carrot oil, mulberry root, kojic acid and arbutin to naturally whiten skin. The exfoliating beads help strip away darkened dead skin and promote deeper penetration of whitening ingredients.